Do you speak FRENCH or ITALIAN? 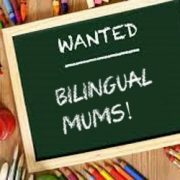 Enthusiastic people with a passion for languages wanted. Eastern Suburbs, CBD, Adelaide Hills, Southern SuburbsFlexible hours, FUN teaching methodology, training provided. Experience with children and reliability are a MUST!